Today for #WritersWednesday, academic author Dr Helen Kara provides a handy guide to some of the most common myths about writing, together with a quick reality check. 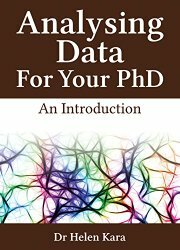 Helen has had many books about research published by The Policy Press, and now self-publishes via her imprint Know More Publishing. In reality, writing is hard graft. Like long-distance running, playing the piano, or riding a horse, you need a lot of practice before you can be good at writing. Unlike those activities, though, nobody can say to you, “Look at me, I’ll show you how.” Most writing is a solitary, private activity, much of which happens inside the writer’s head. If you watched me writing, all you would see would be my fingers tapping on the computer keyboard while I stared at the screen, interspersed with times where my fingers were still and I stared out of the window. Your observations wouldn’t tell you anything about how to write yourself. The sociologist Howard Becker suggested that Myth #1 arose because people only see the finished product which, therefore, seems to have appeared as if by magic. But anyone who writes well will have done lots and lots of practice, just like anyone who is good at sport or music. As with sports players and musicians, different strategies work for different writers. You need to try out different strategies to find out what works for you. While you do that, be aware of the possibility of kidding yourself. If you feel that you have to clean the house for an hour before you can start writing, is that really because the house-cleaning provides essential thinking time which helps your writing when you get going, or is it in fact a delaying tactic? Actually, most people find large chunks of free time more useful for procrastination than for actual writing. Experienced writers know it’s more helpful, as the academic writing tutor Rowena Murray puts it, to ‘snack’ than to ‘binge’. You may find it useful to break down your writing work into specific tasks and give each task a specific time. For example, you could decide to write 200 words after dinner and before watching TV. Don’t fall into the trap of thinking there’s no point writing such a small amount: that’s 200 words you didn’t have before, and if you do that for five days, you’ll have 1,000 words. One helpful strategy is to use a technique devised by the novelist Raymond Chandler which he called The Nothing Alternative. This involves setting time aside in which you allow yourself either to write or to do nothing. No tidying up or checking email: real nothing. If you’re sitting at your computer with your mobile phone by your side, it can be helpful to switch off the sound on both devices. Internet addicts may also benefit from using blocking apps such as Anti-Social or Freedom. If you can only write or do nothing, you are likely to write more to stave off boredom. 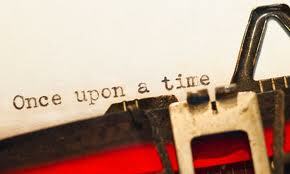 Some people think writers begin by writing the words ‘Chapter One’, carry on until they get to ‘The End’, and then stop. Nothing could be further from the truth. Most writers start in the middle of a central chapter and swoop around leaving a trail of placeholders in their wake. Then they revise and rewrite and that’s not a linear process either. Actually there is plenty of reading that doesn’t go from start to finish, from recipe books to telephone directories. But many books are read as linear narratives, and that is probably how the myth developed. I suspect this myth arose because all writing consists of combining words to make meaning. But writing a novel, or copy for the back of a cereal packet, or instructions in a technical manual, or a ghostwritten celebrity memoir, each require some very different skills. Of course it’s possible to find similarities: use of metaphor, simile, analogy and so on. But you know what’s really different? The readerships. Each of them has different wishes and requirements, and it’s the writer’s job to meet those requirements and grant the wishes. Don’t wait for the muse; she won’t turn up. It’s you who has to turn up, sit down at your desk, and put words on the page or the screen. Inspiration is great when it strikes, but it’s unpredictable and doesn’t guarantee good results, like when you have a brainwave which doesn’t turn out to be a good idea after all. Persistence is much more useful because, as most experienced writers know, writing generates inspiration rather than the other way around. The good news is that anyone can learn to write. And you learn by doing. If you want to write, then go ahead. Write anything relevant, in any order. Just write it down. You can sort out the structure later on. Writing, however haphazard, will help to clarify your thoughts and develop your ideas. Conversely, not writing when you need to write will increase anxiety and reduce self-confidence. So do yourself a favour: stop reading this, and write! OVER TO YOU Feel free to add (and debunk) your favourite writing myths via the comments box. 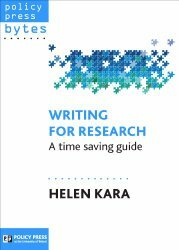 Dr Helen Kara is an independent researcher who writes in the academic genre. She is traditionally published by Policy Press and self-publishes through Know More Publishing. 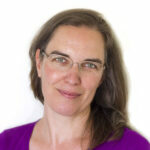 Helen specialises in writing about research methods, and writing itself is a key research method. She also teaches writing to doctoral students. You can find her on Twitter @DrHelenKara where she is often happy to chat. Thank you, Helen, for such an insightful article. This phrase really jumped out at me: “Conversely, not writing when you need to write will increase anxiety and reduce self-confidence.” It’ll help me stay on track to work efficiently and to prioritize my many activities during the day. I’m currently working on my first book while juggling a family of three children (with my husband) and a day-job. An excellent post, Helen, thank you. I particularly agree about honing skills and the comparison with other activities that require time and practice (ten thousand hours and all that). Like so much in life, when you get to the end of doing something that requires much thought and dedication (raising kids, for example) you’re just about ready to start. I find it’s the same with writing: with four books under my belt over the past six years, I feel that the learning process has been huge, immensely rewarding, and that although I’m more savvy than I was when I started, there’s still so much more to discover. All relevant and interesting / insightful, except the bit about writing in the same order as reading – I always start at Chapter one and write in sequence – and would find it impossible to do it any other way. Yes I sometimes add parts in during editing, or cut chunks out, but I absolutely need to see the flow for the reader as I’m writing. Am I in the minority here? I’m the same as you, Margaret – I like writing in order, and even like to have the title fixed before I start! But I know a lot of authors do skip around, missing out a bit if they get stuck to move on to the next part that flows and coming back to fill in the blanks later. Can’t bring myself to do that, even though others swear by it! No, Margaret, yo’re not – I only know one writer ( I must know at least a hundred) that doesn’t start at the beginning and write to the end. Sometimes I cut the first chapter or two but never ever start in the middle. People who go on and on about procrastination … possibly they are in the wrong job … even writing can be the wrong job!